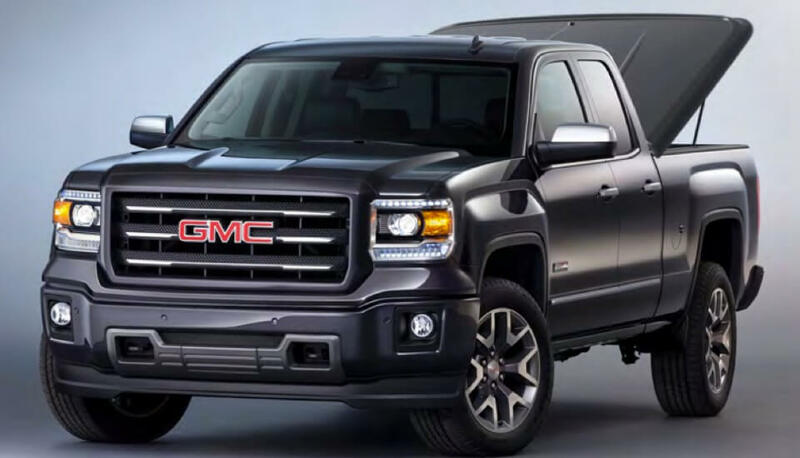 Truck bed covers are among the most useful modifications you can make to your truck, and Handcrafted Car Audio sells all of the popular models. Now you can take that big bed of yours and turn it into a secure, weather-resistant space. Once you have decided to buy a bed cover, you have to figure out if you want it soft, hard, solid, folding, hinged, etc. The good news is that we can take the guesswork out of choosing the right cover for you. Here are some of the most popular styles we sell. Soft covers are where it all began. Years and years ago, you would go to an upholstery shop, have rivets attached to the bed rails and have a vinyl cover made to attach at the rivet points. Times have surely changed. Nowadays, the covers attach to an aluminum frame that clamps onto the underside of your bed rail, so no drilling is required. Many models use an industrial-grade Velcro to attach the cover to the rail system. 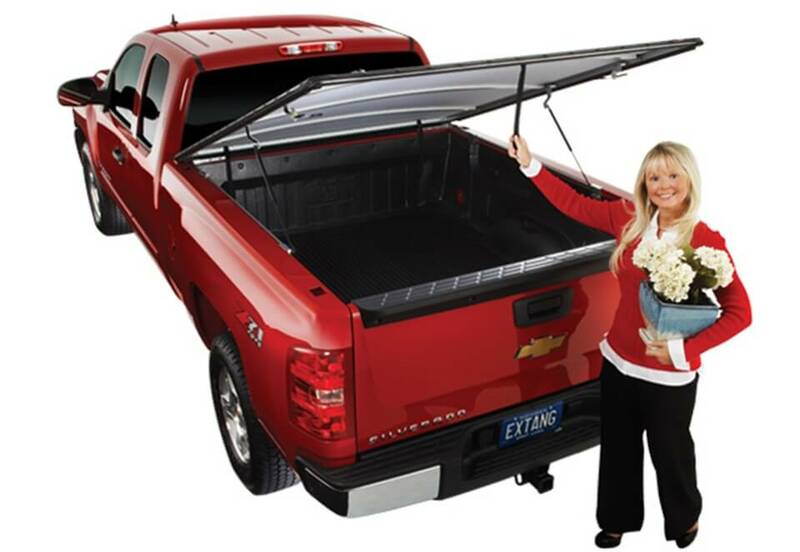 Roll-up covers, for when you need to carry cargo taller than the bed sides, are designed to be rolled up toward the cab and then held in place by straps. 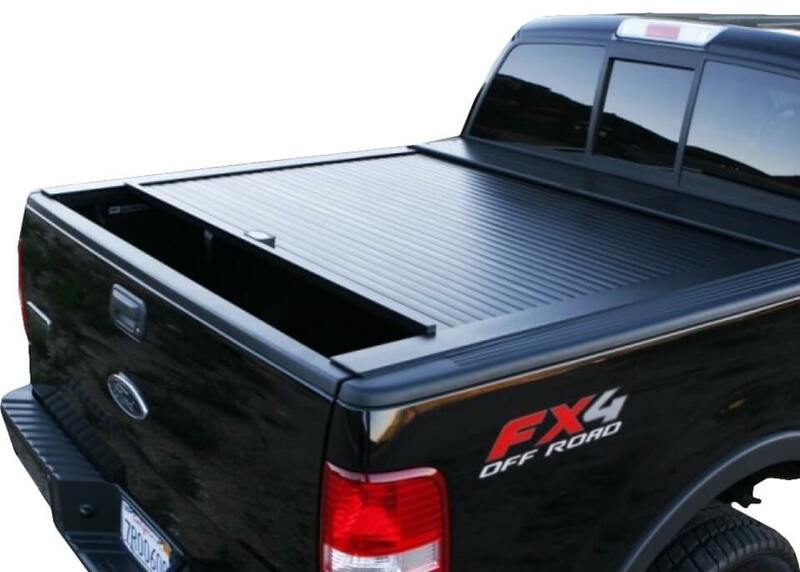 When you want to close this style of cover, you simply run your hand down each side to attach the Velcro, and you latch it closed at the tailgate. Hinged covers take their concept from solid bed covers, but use vinyl on an aluminum frame to keep the price down. They hinge up from the cab side and use lift struts to be held in position when you’re loading the bed. Folding covers take their design from solid covers again and fold up into three panels. This style is for someone who wants a solid tri-fold cover but has to stay on a budget. One-piece covers still sell well for people wanting a painted to match unit or the ultimate in security and weather protection. 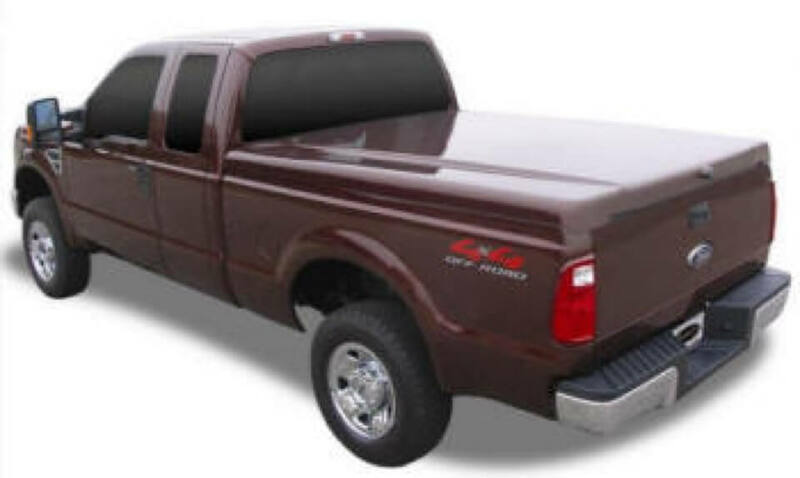 Our one-piece covers are made of a composite nowadays, so they weigh a lot less than versions of the past – a typical short-bed crew-cab model today weighs 58 pounds. The downside of this cover is limited bed access from the sides, and what to do with it when you need to carry something large. If you know in advance that you’ll have a large load to carry, you can simply remove the cover. If you are out and about, you will have a problem, and will need to come back at another time to accommodate that load. Folding bed covers are the next evolution and are our most popular style. They combine the security of the one-piece cover, weather resistance that is almost as good and full bed access. When you want to put something in the rear of the bed, you simply fold up one panel, insert the cargo and close the panel. 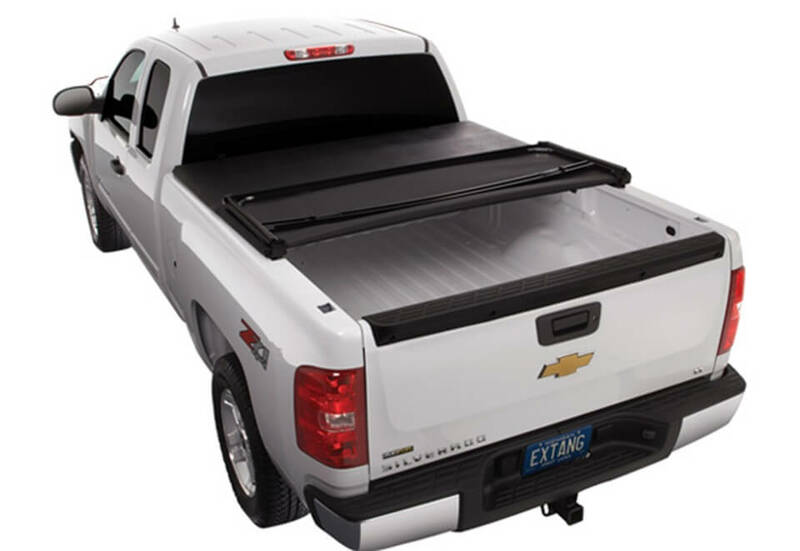 Should you ever need the whole bed, you simply fold the cover up against the rear window, giving you whole-bed access and you a convenient place to store the cover. 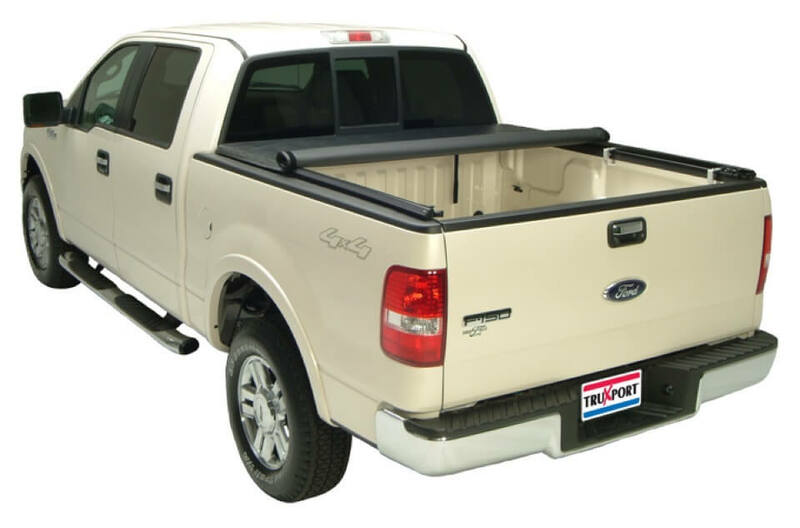 We do have some models that can hinge from both the tailgate side and the cab side, and these models can be folded up and placed inside the bed, should the need arise. Rolling, or retracting, bed covers are the classiest units we sell. They use a small canister that gets mounted right behind the cab and holds the cover when you have fully retracted it. 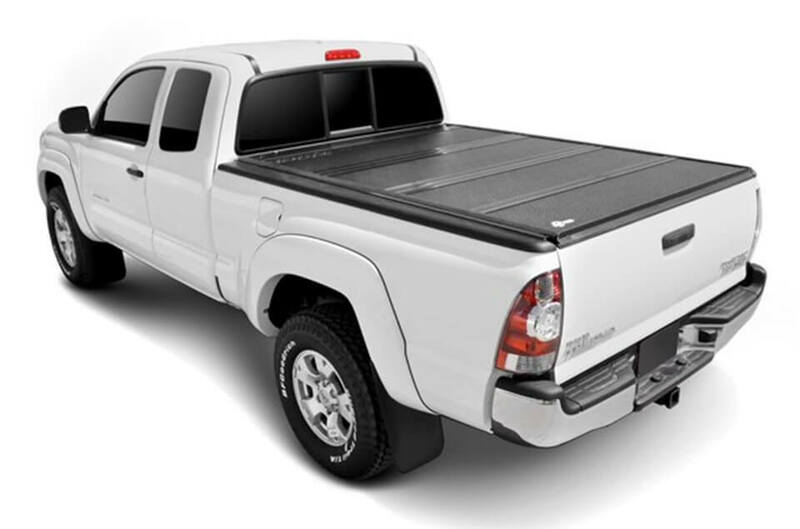 You simply pull the bed cover closed when you need security and weather protection, and you can retract it at almost any spot between open and closed when you are carrying cargo. These units even come in motorized models for the ultimate in convenience. The only downside of this cover is the price. They are the most expensive covers – but hey, you get what you pay for. The staff here at Handcrafted Car Audio are experts at anything installation-related, so you can rest assured that our highly skilled installation department will perform the job correctly for you the first time. We invite you to stop by our facility with your truck and get to know us better. Ask us for a tour of our facility. We would love to show you what happens behind the scenes.